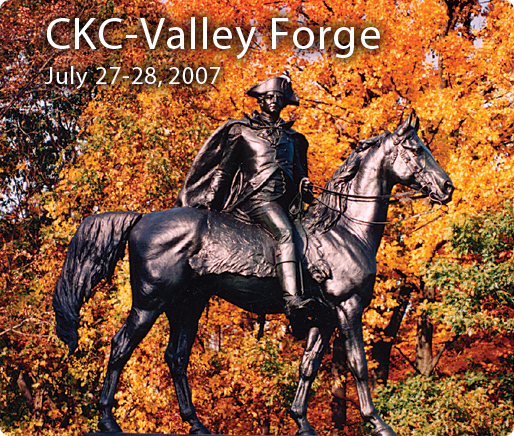 Lee and I went to CKC Valley Forge today. Oh my! Last year was our first time and we were overwhelmed when we walked through the door. After spending a full day, we were exhausted and well equipped with all of the newest and best in scrapbooking papers and embellishments. This year we went in thinking that we were seasoned scrapbookers, had lots of paper and 'stuff' and probably wouldn't be buying all that much. Ha! I had to buy a shoulder bag to carry my booty before I got through even the first isle! I was practically dragging the bag by the time we got through the entire place. Oh wow! I think I now own every collection of the new Basic Grey, and let me tell you, it is something you want to own. Rusty Pickle also. I spent way more than I intended. But not quite this much. This was a check-out person's error. When this number came up, I said, "Does this mean I get my free book?" Even with the adjusted total, I earned my free book, by the way. Tomorrow? A full day of Tim Holtz in Gaithersburg, Maryland! So excited! And such an early morning. More to report then! i wouldn't think it was a mistake. What a great Day! Just because there was a small error at the cash register doesn't mean that that kind of money hasn't been spent. LOL What I need is a job that pay wells but doesn't require me to show up so I can support my habit but still have time to craft! Any ideas? A charmed journey . . .
And speaking of flying. . .
Where were you at 7:07 (p.m.) on 7/7/07? "Live in another realm. . .